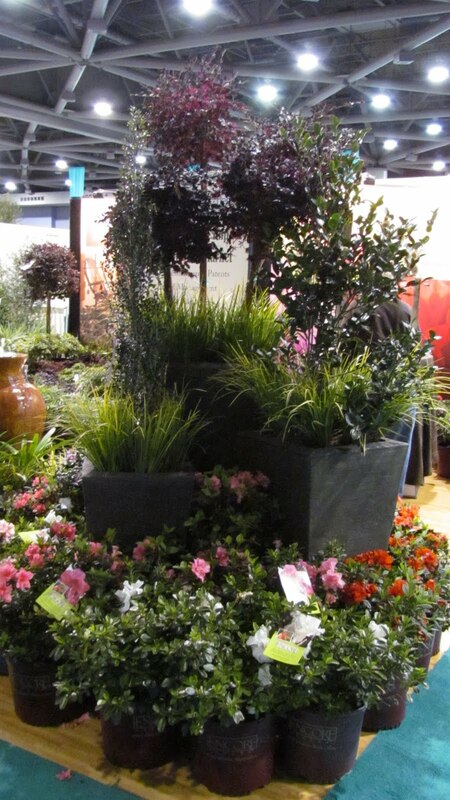 These standard Loropetalum (commonly called Fringe Flower) planted in a container bed of Acorus Ogon stole the show at the Gulf States Expo in Mobile two weeks ago. While considered to be hardy to only zone 7, I’ve seen them defoliated in our zone 6 winter but come back with gusto in the spring. 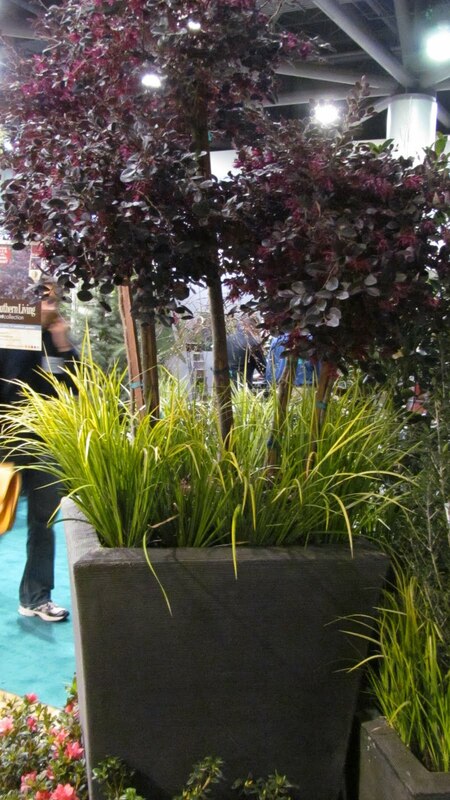 This Loropetalum is supposed to be the Purple Diamond Variety, and there are several other great varieties like Purple Pixie, Suzanne, and Plum Delight that keep this deep foliage color all year in milder climates. 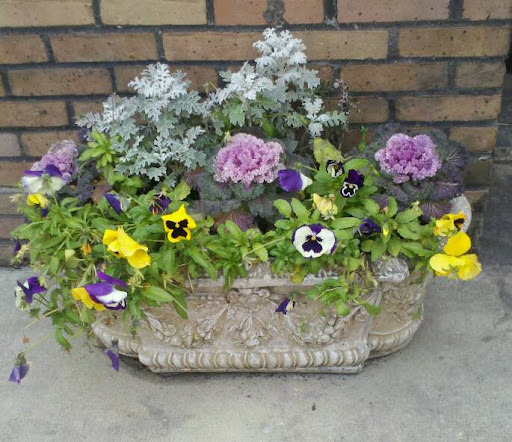 These two plants make good companion plants because they like the soil being on the moist side. 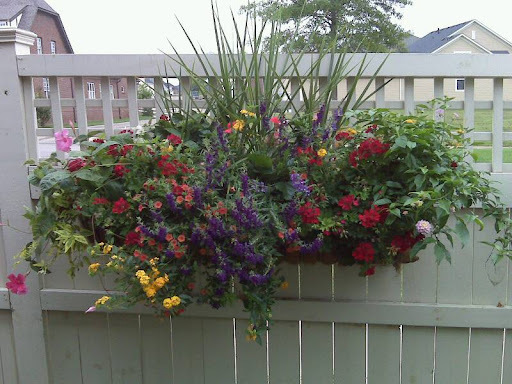 I love color; I love containers filled to overflowing with a riot of texture and flowers. 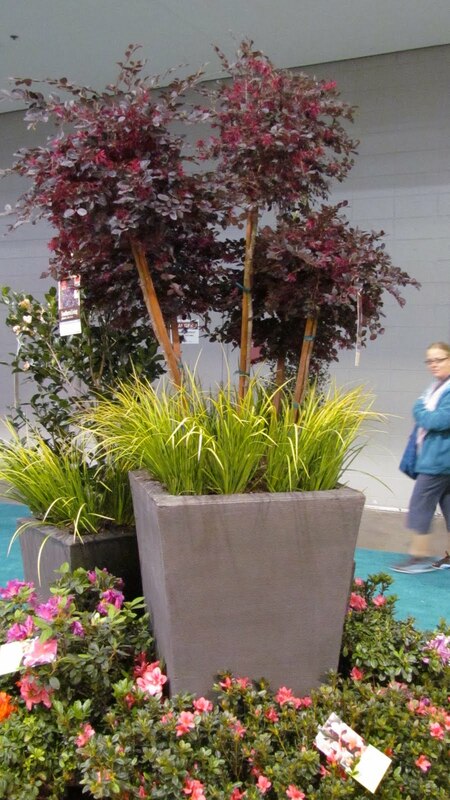 But I also love the simplicity of an artistically arranged container like the one below, finished beautifully with a soft bed of moss. 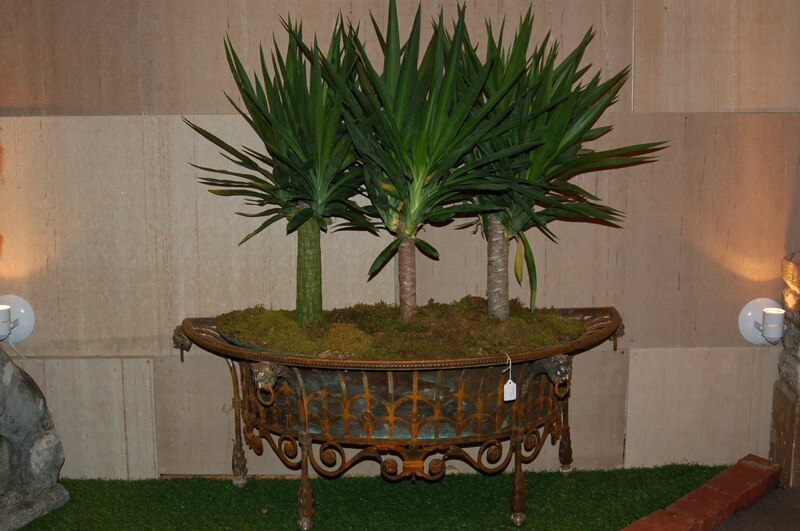 Of course, being in this gorgeous antique planter adds to the appeal. 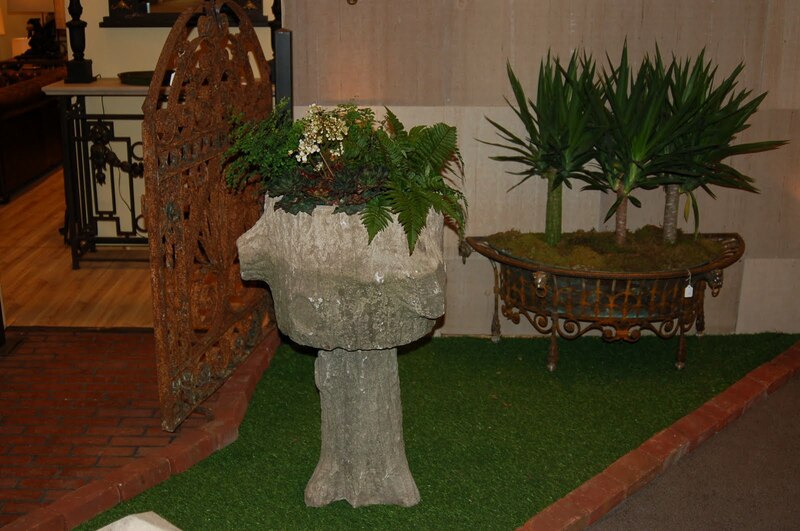 This was from last year’s Nashville Garden and Antique Show. 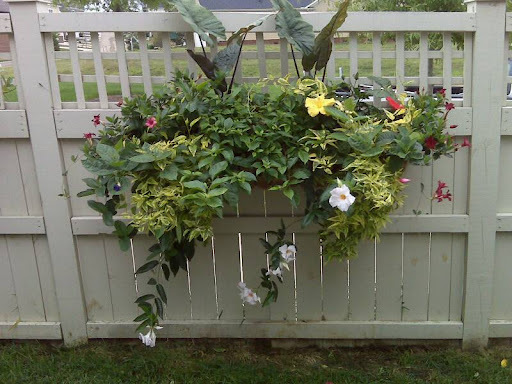 One of my favorite nurseries to visit here in Middle Tennessee is Moore and Moore West in southwest Nashville. 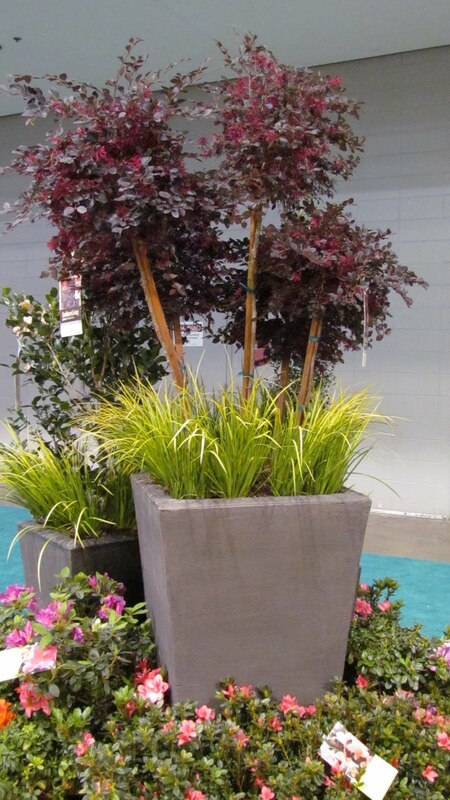 I loved this container that I saw there because it’s perfect for summer shade but also perfect for bringing indoors for the winter. 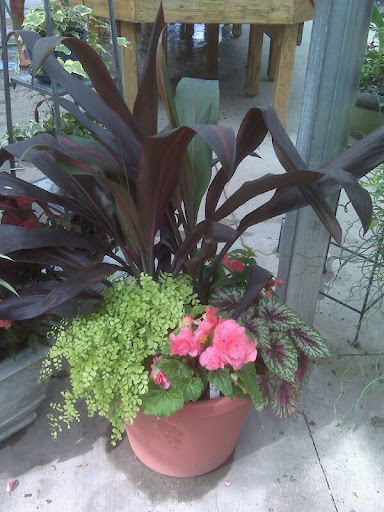 Tall thick blades of cordyline contrast beautifully with the fine foliage of maidenhair fern and the round ruffles of tuberous begonias and wax begonias. 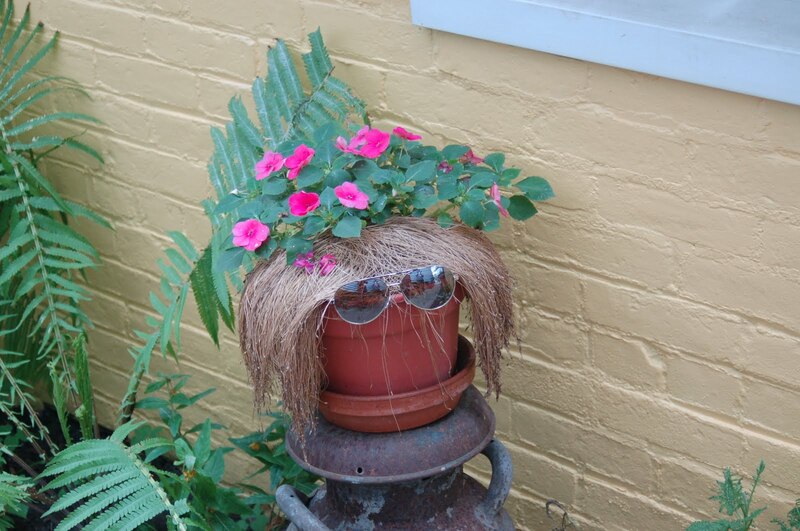 The few little trails of ivy soften the edges under the heavy begonia leaves. 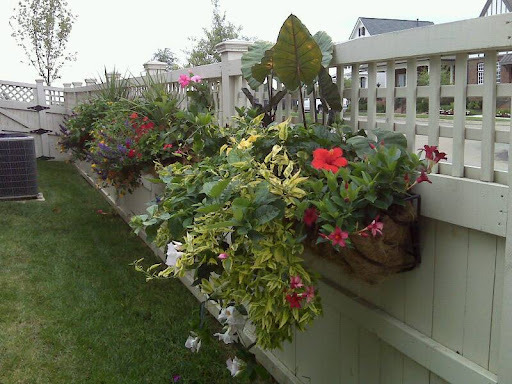 Look at all the color and interest you get with just foliage and a tiny bit of flowering! 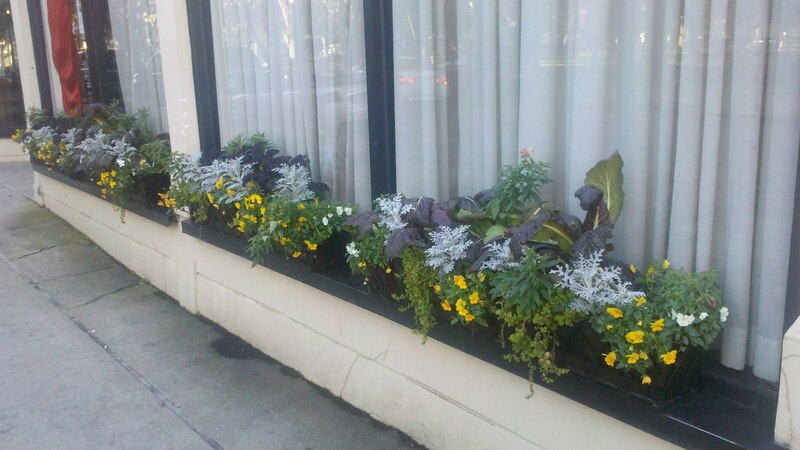 This gives a whole new aspect to year round containers. What can YOUR phone do for you? 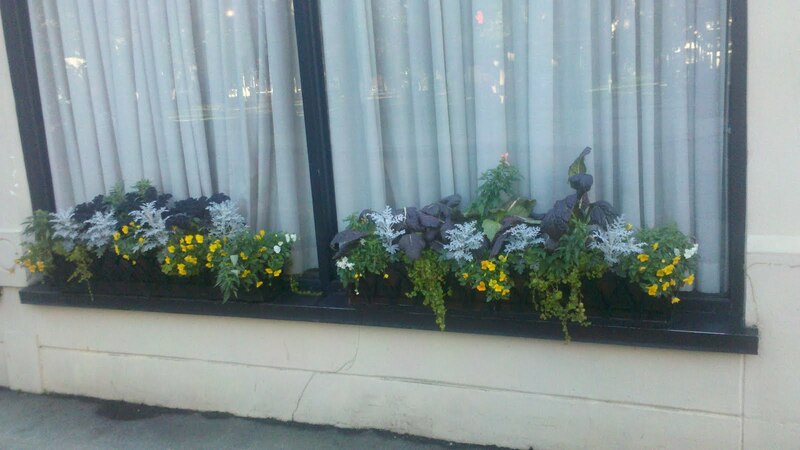 Right now my Droid is working as my camera, computer, and phone so here’s today’s blog with a summer windowbox picture taken with my phone in 2009. So glad I’m slow at deleting things! 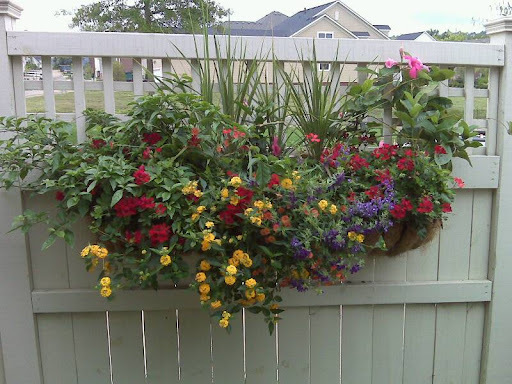 Hope this gets you thinking spring. 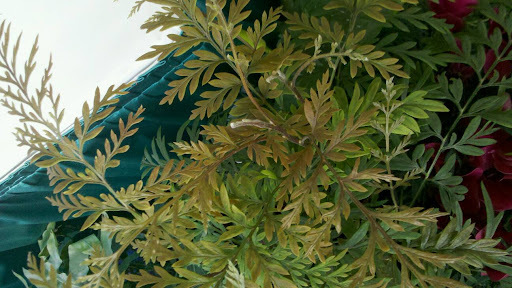 I’ll get you names of plants when I can see the picture bigger than the thumbnail on my screen. I walked past him as he casually stood by his booth at the trade show and I thought, “I wonder if he realizes that I’m staring at him!” So I stealthily slipped beside the gal working in the booth with him and quietly asked if she could tell me his name. “Who are you asking about?” she loudly proclaimed. “Him, over there in front of the desk,” I sheepishly pointed. We walked toward him and I suddenly realized- —- he was wearing plastic!! 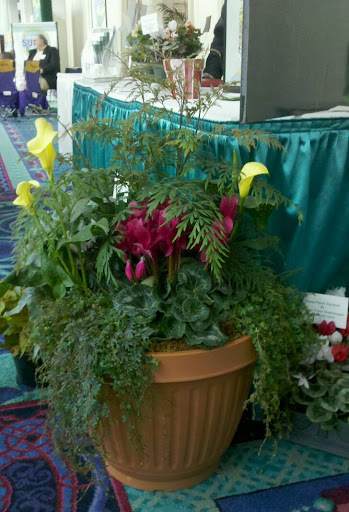 There he was surrounded by this gorgeous calla lilly, a hot cyclamen, saginella was practically hanging off him and he was so gorgeous that I didn’t even notice that he was standing in a cheap plastic pot until I tried to pick him up. Wait – what did you think I talking about?! 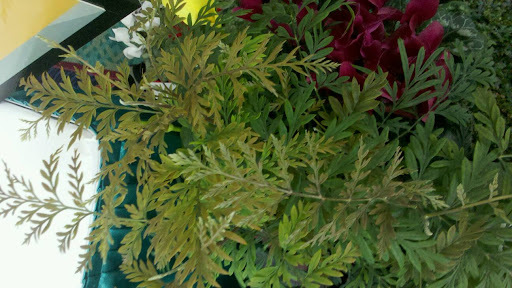 What is the name of that gorgeous fern-like plant in the middle of this pot. Any guesses? And don’t anyone tell me it’s Fabio! So once again I’m without internet while attending a trade show. Probably doesn’t help that my computer is almost 10 years old (which is like 112 in people years). So here is a picture of a container outside “The Royal Scam” – a groovy little food spot in historic mobile that I shot with my phone at last week’s conference. Tomorrow I get to attend Wintergreen in Atlanta and hear my heros Rita Randolph, Michael Dirr, and Allen Armitage. 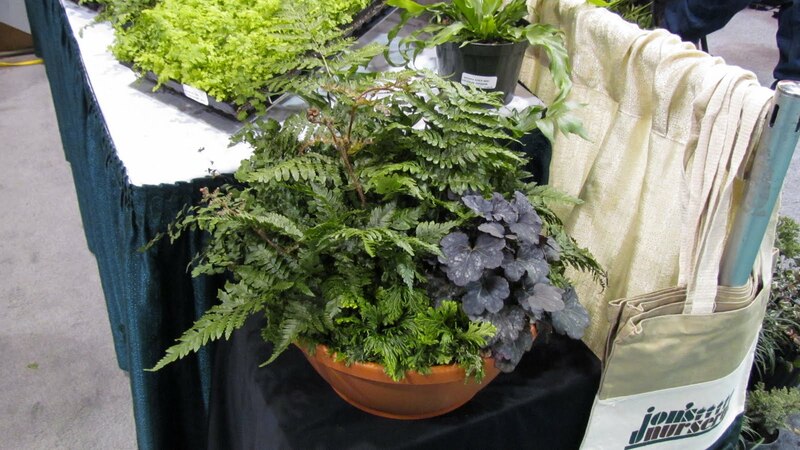 Selaginella (spikemoss), Heuchera, and what looks like Autumn Fern or a similar Dryopteris create an easy care, luscious bowl. I saw this beauty at the Gulf States Expo in Mobile, Alabama. 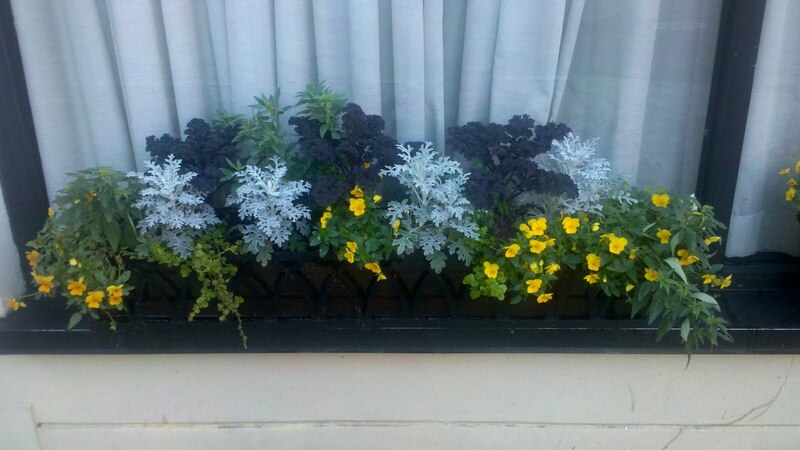 These simple windowboxes are filled with orange pansies, dusty miller, Red Bor Kale, snapdragons and Lysimachia (some boxes look like they have Bergenia in them). These past few morning of temps in the lower 3os didn’t seem to faze them at all. These old buildings are perfectly set up for displaying this old world charm.